The following interview with Rucha Chitnis was conducted by our Contributing Editor, Suhail Shaikh. Rucha Chitnis is the Director of Grantmaking at Women’s Earth Alliance, a nonprofit that mobilizes resources to women-led grassroots groups and networks that are seeding and strengthening environmental and climate action in their communities using a gender and a rights-based approach. 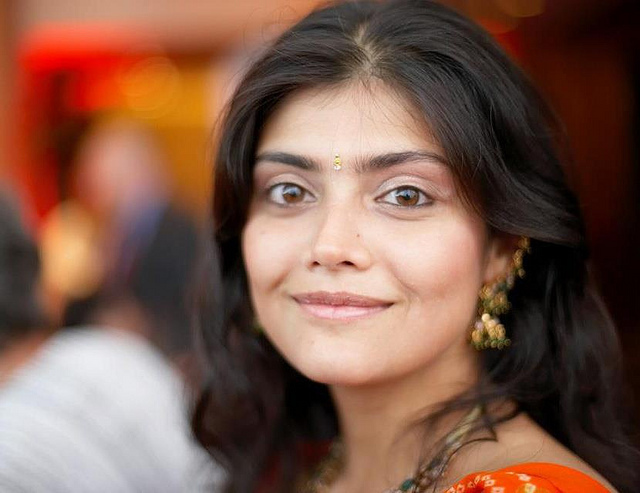 Prior to joining WEA, Rucha was the Director of Programs and Development at One World Children’s Fund, a San Francisco-based nonprofit that networks resources to community-based groups globally that are promoting children’s rights and well being. In 2011, Rucha was selected as one of the Asia 21 Young Leaders by Asia Society. She serves as an advisor to Global Greengrants Fund and One World Children’s Fund and has a Masters degree in Communications from the Scripps School of Journalism at Ohio University. Rucha is an amateur photographer with a special interest in social documentary and bird photography. 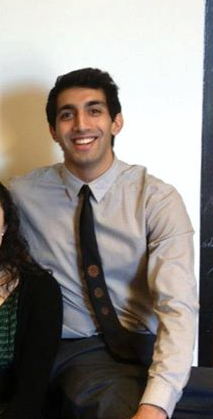 Note: In order to read The Brick Project Founder, Karim Ajania’s interview with the Executive Director of One World Children’s Fund, kindly click upon this link: The Brick Project Conversation Part Four: Allie and Anand. Only days after I met with Rucha, my advisor at the Harvard Graduate School of Education, Richard Weissbourd released an article in the Huffington Post on the nature of empathy. Dr. Weissbourd asserts that empathy is at the core of ethical functioning and foundational for maintaining good relations and creating a just society. While having empathy for those like us is easier (i.e. family, close friends), generating empathy for those outside of our circle often presents challenges. Nirvanavan Foundation’s actions to provide basic human rights to marginalized communities simultaneously build empathy by breaking down specious stigmas between groups. I am truly inspired and motivated by their innovative efforts and impressive results. What does the Nirvanavan Foundation do and what inspired you to become involved? 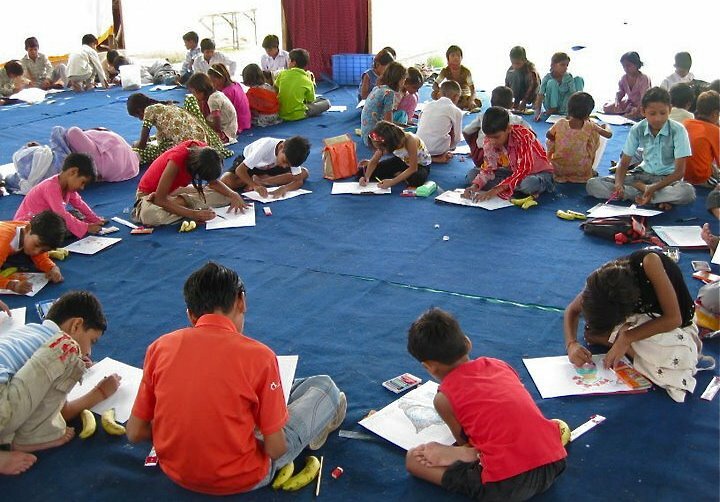 Nirvanavan Foundation (NF) was founded in 2001 to promote the right to education, dignity and well being of every child, regardless of human-made divisions of class, caste, gender and ethnicity. 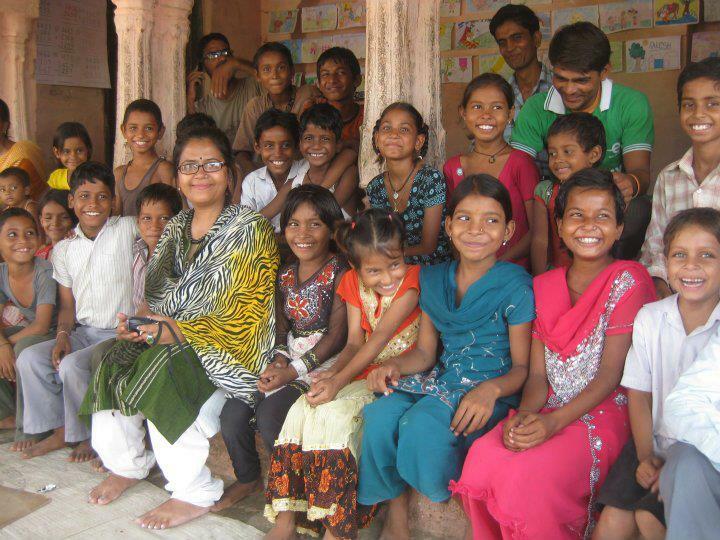 The Foundation is a grassroots organization working in the remote areas of Alwar district in Rajasthan on educational, ecological and social issues. In 2009, I had a chance to visit their community-based schools and other programs, such as CHILD LINE Service, and learn how long-term systematic oppression against communities, such as Nat and Kanjar, affects educational and dignified livelihood opportunities for children and youth. What is the specific need that Nirvanavan is trying to address? And what can you tell us about the Nat” and “Kanjar” communities? 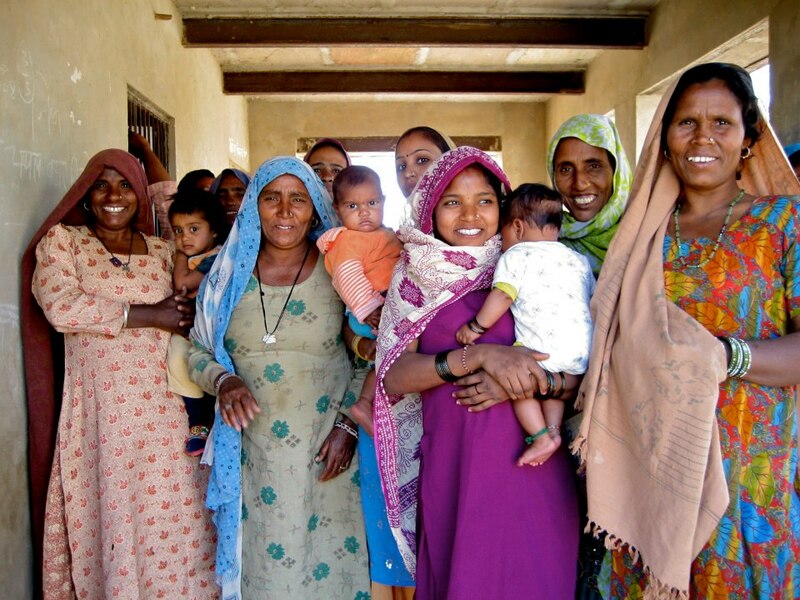 NF works with nomadic tribes, farming and pastoral communities in the Alwar district of Rajasthan that experience acute economic and social vulnerabilities. Some Kanjar communities are engaged in prostitution as a traditional occupation for several generations now, and face devastating social exclusion, which also results in low literacy among children and adults. 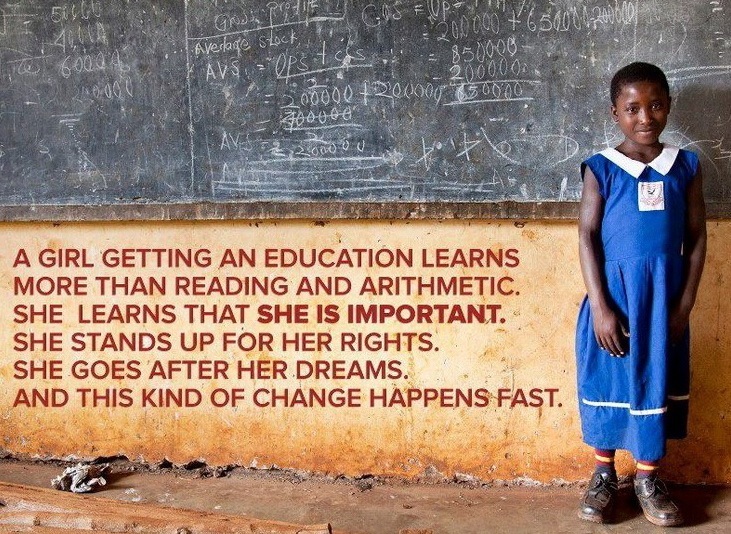 It’s a vicious cycle that perpetuates inequalities and indignities for all members of the community, especially girls. Historically, the Nat and the Kanjar communities used to be nomads, entertainers and performers. The Kanjars used to entertain the royal caste and the rich but later some took to prostitution. The word “Nat” means the performer. The famous dancing pose of Lord Shiva is called Natraj meaning the king of the performers or the master performer. During the Colonial period, Kanjars were listed under the Criminal Tribes Act, 1871, as being a tribe habitually causing non-bailable offenses. The stigma of this criminal label severely impacted these communities, and heightened the discrimination within the broader society. 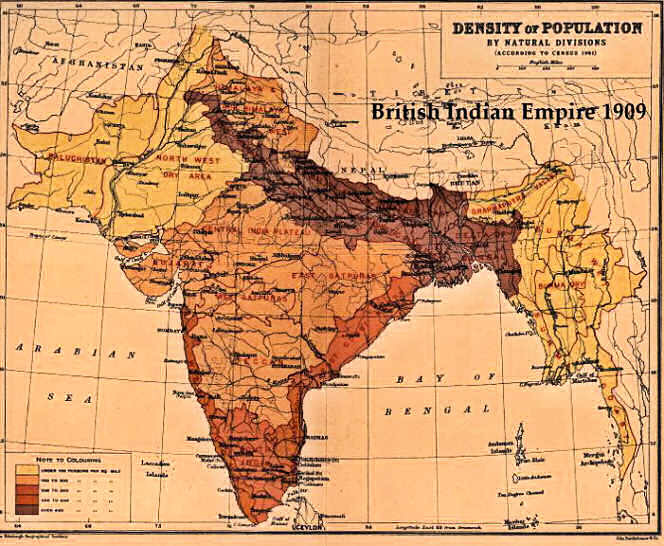 During the Colonial period, Kanjars were listed under the Criminal Tribes Act, 1871, as being a tribe habitually causing non-bailable offenses. The stigma of this criminal label severely impacted these communities, and heightened the discrimination within the broader society. The children, of course, are incredibly vulnerable to this stigma and parents shared with the Nirvanavan Foundation team how their children routinely faced harassment, bullying and abuse within the government schools. In 2004, the Foundation conducted a survey in 22 Nat and Kanjar villages and identified 10 high-risk villages where there was a need for a primary school. Today the Foundation runs 12 community-based schools as Alternative Learning Centers, including in these 10 villages. The schools run by the Foundation are called Bodhivriksha schools meaning Tree of Knowledge. How does Nirvanavan Foundation partner with government schools to hold them accountable? Nirvanavan Foundation is partnering with government schools to create a safe environment for all children, who are eager to learn. They are also supporting some government schools for their library programs. At the end end of the day, it is the responsibility of the government schools to be accountable to those who are acutely affected by long-term, systemic injustices, to make sure the schools create an environment for all children to thrive and be productive and feel safe. How is Nirvanavan going about addressing the need? What are some of the various steps involved with generating this cultural shift? Educating communities on the Right to Education Act that was passed in 2010 that prescribes the importance of free and compulsory education for children between the ages of 6 and 14 because it is the onus and responsibility of the government to ensure that children are not left behind because of caste and class barriers. Educating children and communities on ecological issues: Being part of desert communities NF team are deeply committed to raising awareness among children and communities on ecological and conservation issues. 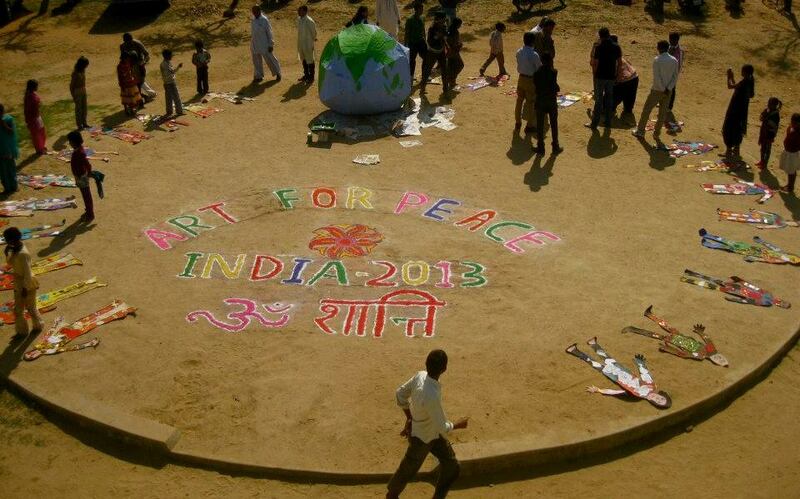 One of the unique and creative events that the Nirvanavan Foundation organizes every year is called the Art Mela for World Peace. Every month all students, teachers come out for shram dhaan, or a day of selfless service, to plant indigenous trees, dig water-harvesting ponds, collect plastic littering their communities. The Foundation also celebrates Earth Day in a big way by organizing public events, plastic collection drives. 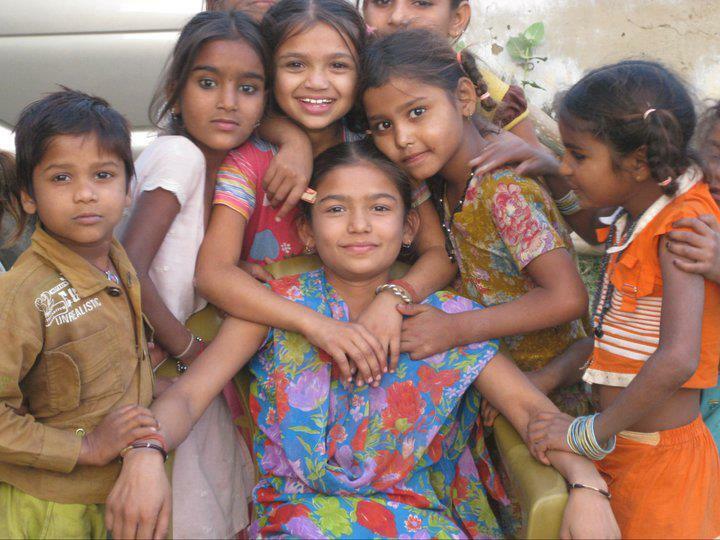 The Nirvanavan Foundation also runs the CHILDLINE project in Alwar. CHILDLINE is a national, 24 hour free, emergency phone outreach service for children in need of care and protection; linking them to long term rehabilitation and care. The total number of intervention cases at CHILDLINE Alwar from April 2012 to March 2013 was 728. One of the unique and creative events that Nirvanavan Foundation organize every year is called the Art Mela for World Peace. This gathering brings together children across these human made divides of class and caste to foster deeper understanding and compassion for reach other through art projects. 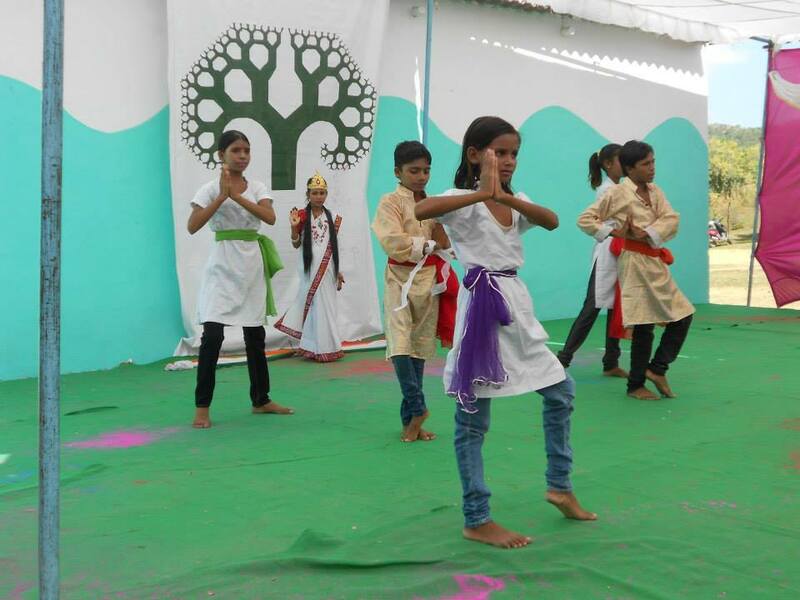 This year their Art Mela for World Peace brought together 1000 children across Alwar District to be in a shared space to draw their expressions for peace and oneness. This is a community event, and parents, teachers and youth are invited to draw together and create a Wall for Peace art installation. The Foundation also organizes community events, like Slum Boys cricket tournament to raise awareness on CHILD LINE service in the communities. The cricket tournaments are events also with the theme of creating harmony and understanding among the diverse communities of Alwar. You have been and continue to be involved with different socially responsible projects around the world. Having grown up in India, is there an additional sense of gratification making this positive impact in your home nation? I think it’s important for those of us who have caste and class privilege to raise these issues within our family and broader community. It’s crucial to have these dialogues and understand how systematic oppression continues to perpetuate today. Caste system is alive and well, and its eradication is tantamount to ensure children have their right to education met. The ripple effects of caste system permeate to health, livelihoods, safety and overall well being. In rural India especially, caste system also privileges upper caste men to sexually violate dalit (untouchable) women and girls, and to this day violence against women is used as a weapon to subjugate, oppress and humiliate an entire sub-community in a village. Finally, we also need to understand what it means to be an ally—how we take responsibility of recognizing our privilege (sometimes unearned and received from society’s patterns of existing injustices) and be accountable for changing these patterns. Ask yourself: How do we create conditions through which those that are affected by oppression can grow and assert their own power? This is not about being saviors; it’s about listening, learning, unlearning and reflecting on your own actions and behavior committing to equality and justice. What can we do to support Nirvanavan’s cause from afar? Please donate to Nirvanavan Foundation via their fiscal sponsor One World Children’s Fund. 100% of all donations made on this page will support NF’s innovative programs, such as the Art Festivals for Peace, and their alternative educational centers. To donate to One World Children’s Fund general fund to support their work with partner organizations and children around the world, click here. Spread the word! Talk to your friends and family and community!